Energy Gels work by giving you electrolytes, carbohydrates or protein in a precise liquid energy shot. 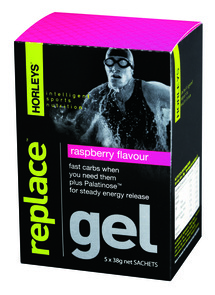 Sprint Supplement’s Energy Gel range includes popular products like Balance Energy Squeezegels, Horleys Replace Gel, GU Energy Gel, and Leppin Squeezy. Some energy gels also include caffeine and double caffeine. This gives you the right boost needed to keep your hard working muscles working and to prevent the onset of fatigue.